I don't know how you did things in the 1800s, but keeping a file on the woman you love is... creepy. Just once I'd like to not find a dead body in my house. Is that asking too much? 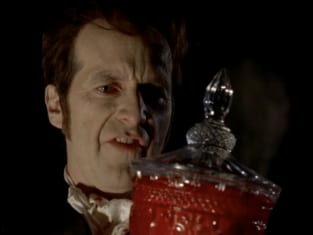 True Blood Round Table: "Everything is Broken"
True Blood Review: Breaking, Bloody News!